enthusiasm and style you could ever ask for. 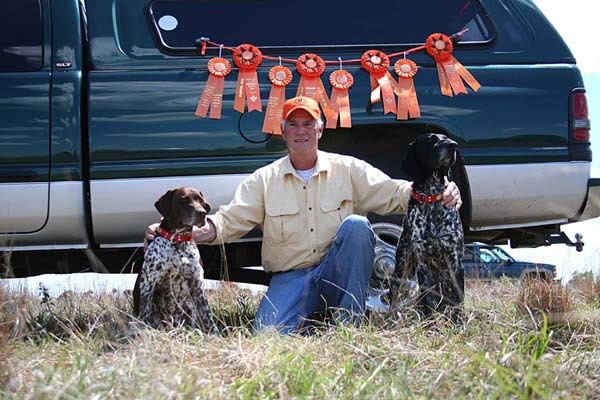 Hunting and Training Bird Dogs for the foot hunter is a primary focus for Indian Brook Kennel. NAVHDA and AKC provide the basis for our testing. Our focus is to train to the highest level required by both organizations. Testing achieves two objectives; one, it provides feedback for our training techniques and two, it helps us determine which dogs have what it takes to make improvements to the breed. Some of our clients want us to train their dogs for AKC and NAVHDA Hunting Titles and others just want good hunting dogs as a result. We can plan a training program for your dog to meet your needs. 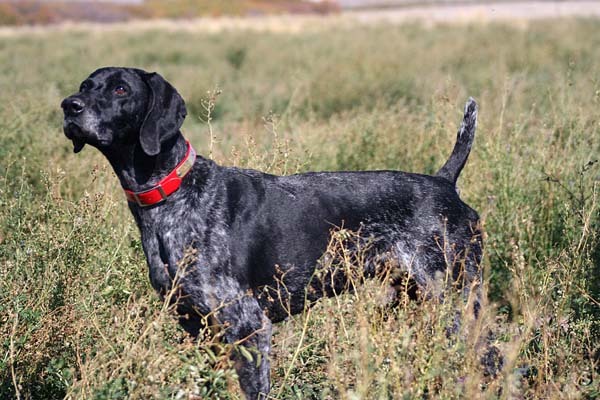 Top Quality German Shorthaired Pointers bred and selected for Drive, Desire, and Trainability. At Indian Brook, we select and breed for the GSP with the qualities of the true versatile hunting dog. Our dogs are natural in pointing, backing and retrieving. They have excellent temperaments, are proven highly competitive in tests such as NAVHDA, AKC Hunt Tests, and Gun Dog competitions; yet, they are highly trainable for the amateur or the bird hunter looking for a dog that can do it all.